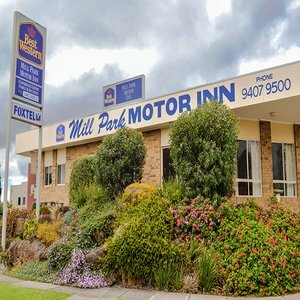 BEST WESTERN Mill Park Motel and Conference Centre offers 4-star accommodation in Melbourne. All rooms are on the ground floor and have access to high-speed wireless Internet and free Foxtel TV. Choose from king and queen spas, family, twin and standard rooms. Other facilities at BEST WESTERN Mill Park Motel and Conference Centre include a breakfast dining room, breakfast baskets, room service, breakfast and conference/meeting room facilities. Guests staying at the BESTWESTERN Mill Park Motel and Conference Centre will be within walking distance of cafes, restaurants and supermarkets. Westfield Plenty Valley Shopping Centre, Epping Plaza and University Hill Shopping complex are a short, five minute drive away.